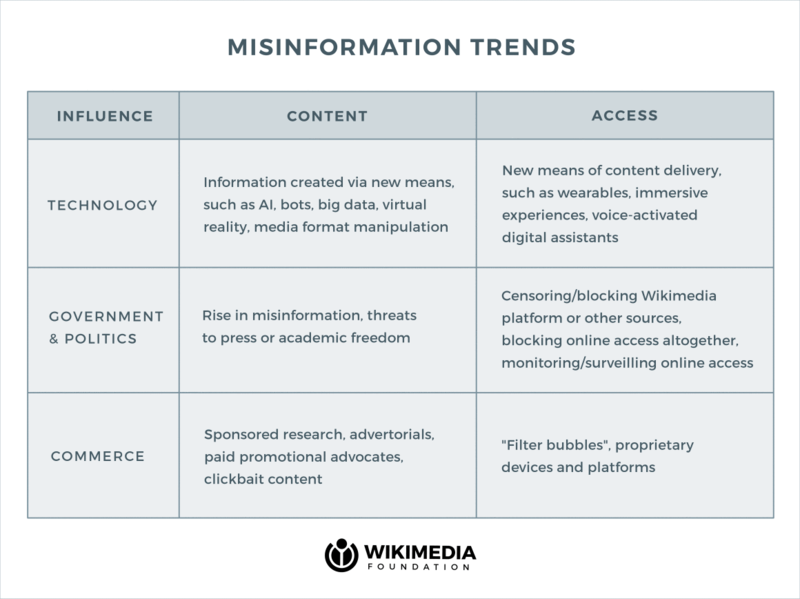 The Wikimedia Foundation (which operates Wikipedia and its associated community projects like Creative Commons) funded new research into the supply and distribution of misinformation, fake news and falsified content. The research provides a helpful framework that makes it easier to discuss this complex and tricky topic. The representative chart below divides trends of fake news into two categories (the sources of content and platforms and technology trends).